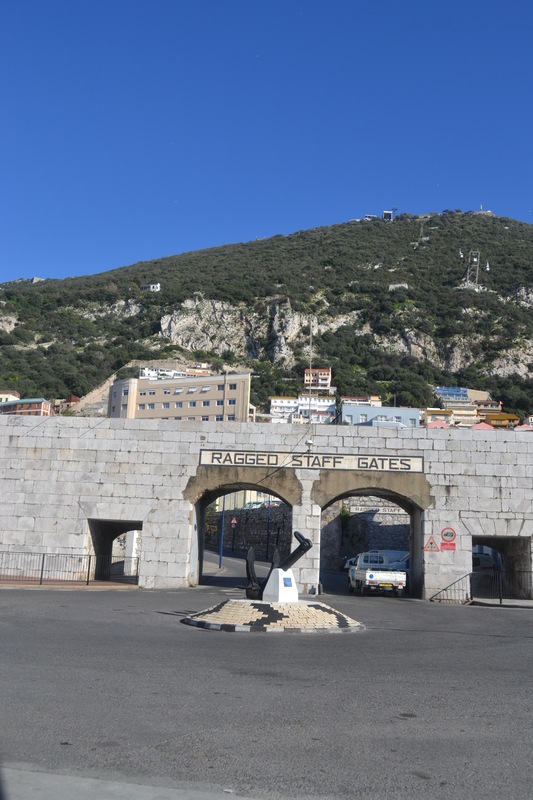 It’s been a long time since I last took you on a stroll around Gibraltar, so here’s a new jaunt around this place we have made our home; it’s less of a walk and more is a drive though! 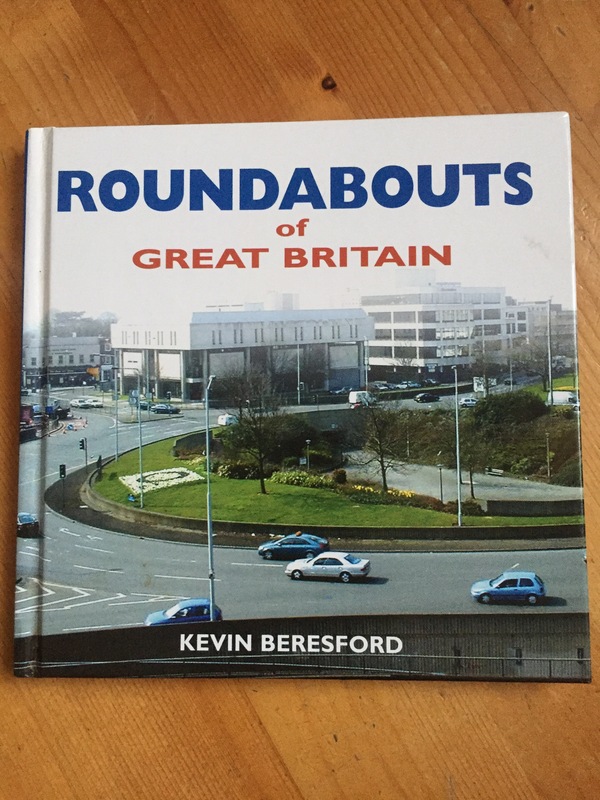 It’s been inspired by a tongue in cheek gift Mr Postcard received for Christmas a few years ago… traffic islands or roundabouts are the subject matter today. Apparently there is such a thing as a ‘Roundabout spotter’ so if there are any of you out there in cyberspace this one’s for you! 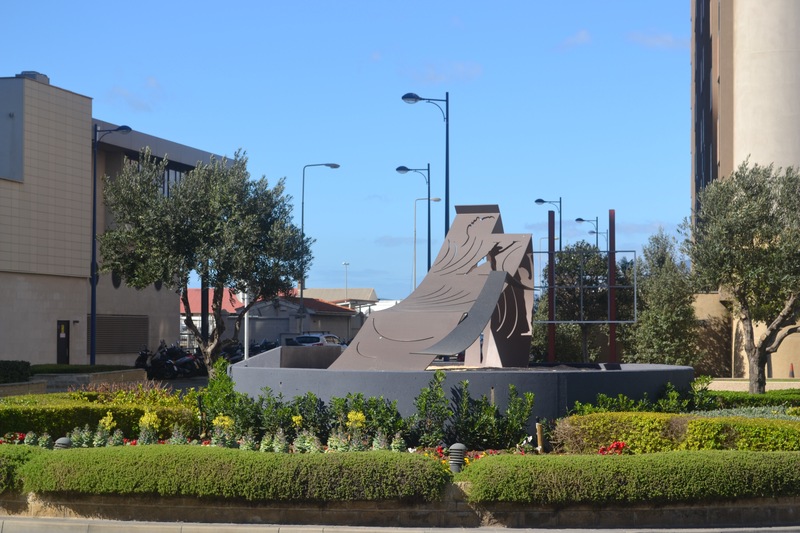 … beginning with the Sundial Roundabout. 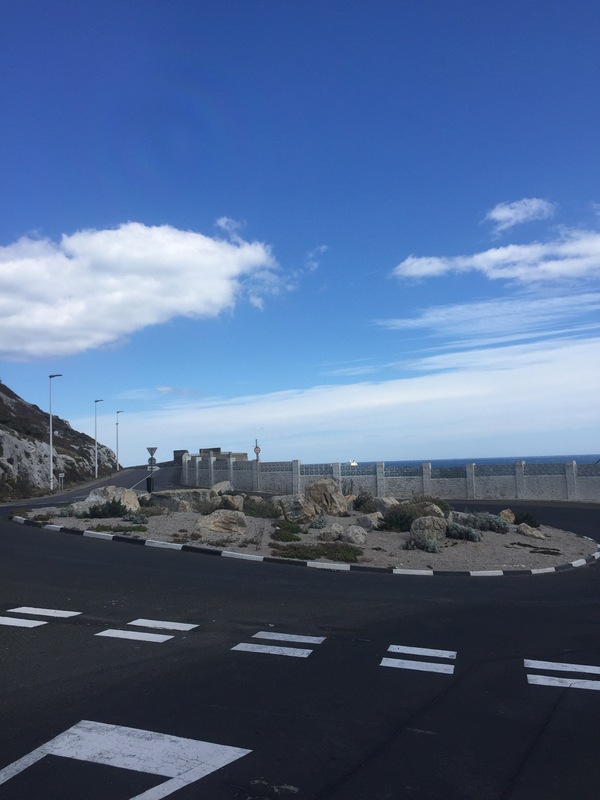 This is the first Roundabout you will encounter if you arrive in Gibraltar by road. There is a mini (painted on the road) roundabout next to the airport, but this is the most northerly proper roundabout. The sculpture in the centre forms a sundial and the points of the compass are marked out on the grass verge running around it (you can see N for North in the photo above). Also around the base are images of the symbols of the zodiac. 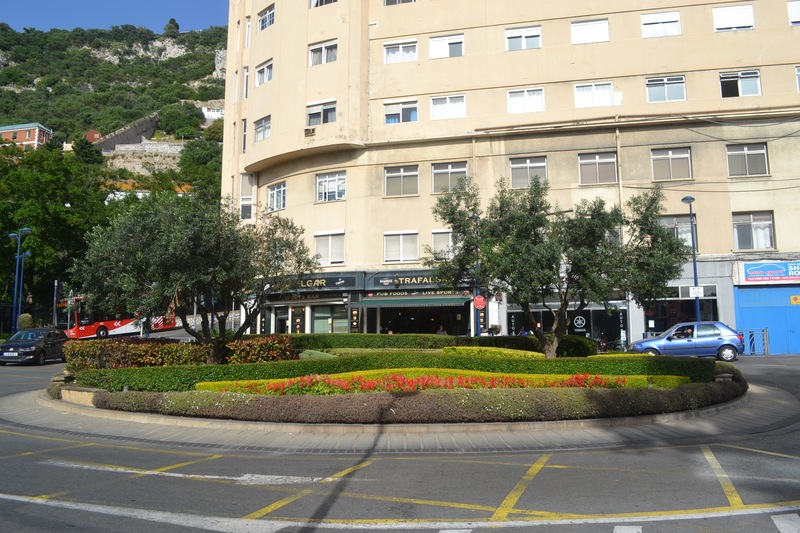 When Gibraltar enjoyed it’s most recent royal visit from the Earl & Countess of Wessex, back in 2012, planters were put on top of the compass letters and it looked beautifully colourful. 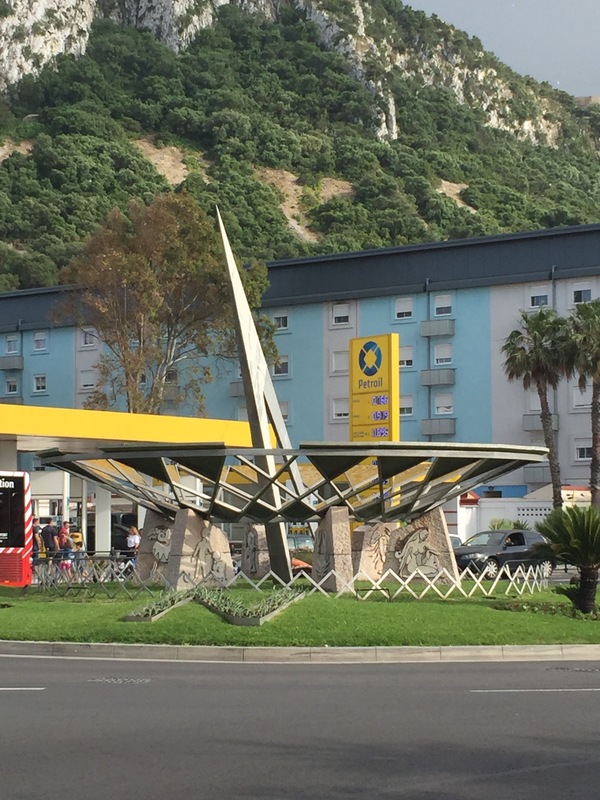 Our most southerly roundabout of note is this one next to to mosque at Europa Point. 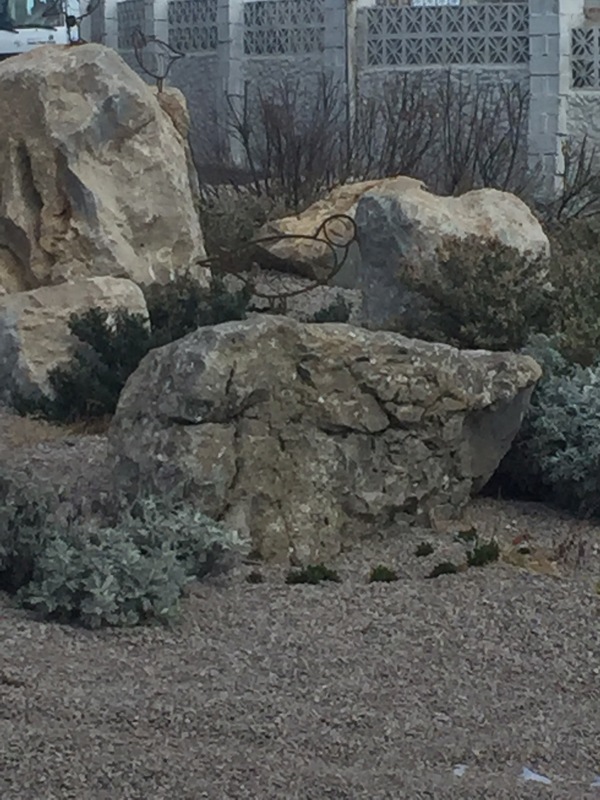 From afar it looks like a natural planting arrangement with rocks and pebbles and a few plants. Up close though, you can see a flock of metal birds. I have tried to find out what they are, but failed. They do look to me rather like Gibraltar’s native Barbary Partridges though. 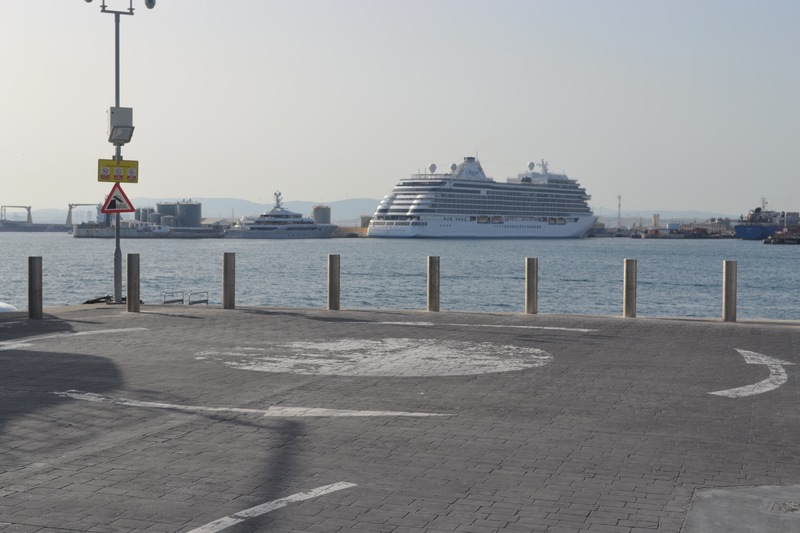 It’s not just Gibraltar’s wildlife which is celebrated in traffic island form – it’s nautical history is too. 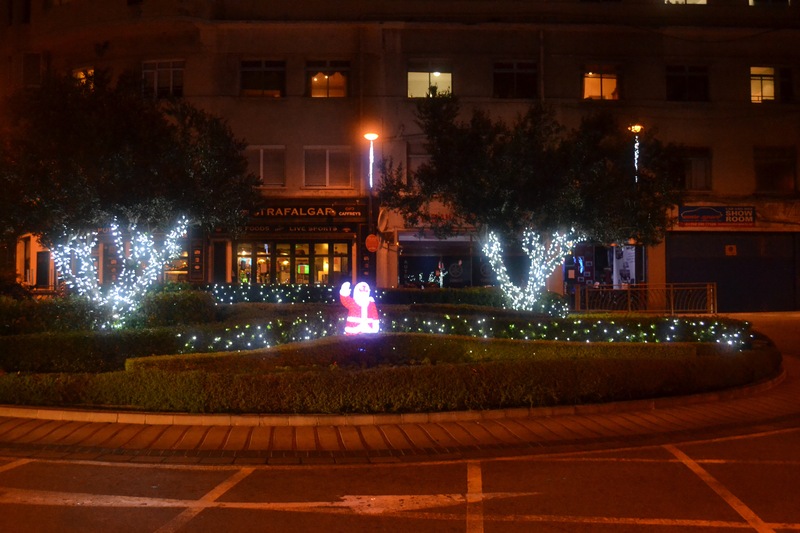 An anchor takes centre stage at this roundabout on the junction with Queensway and Ragged Staff Road. Some of our roundabouts are planted with tropical plants, there are a couple close to Morrisons supermarket- this is one of them. 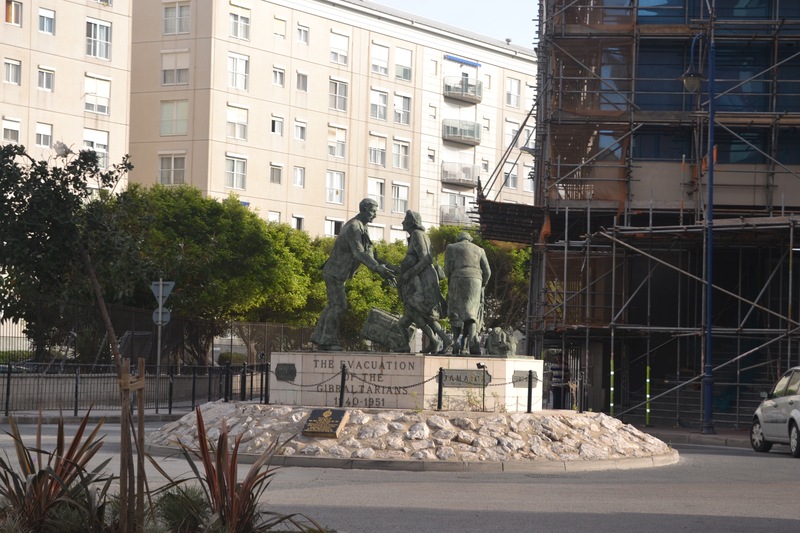 The story of what happened to the civilian population of Gibraltar is marked by this beautiful statue of Evacuees returning home to the Rock after many years separated from their friends, families and their homes. 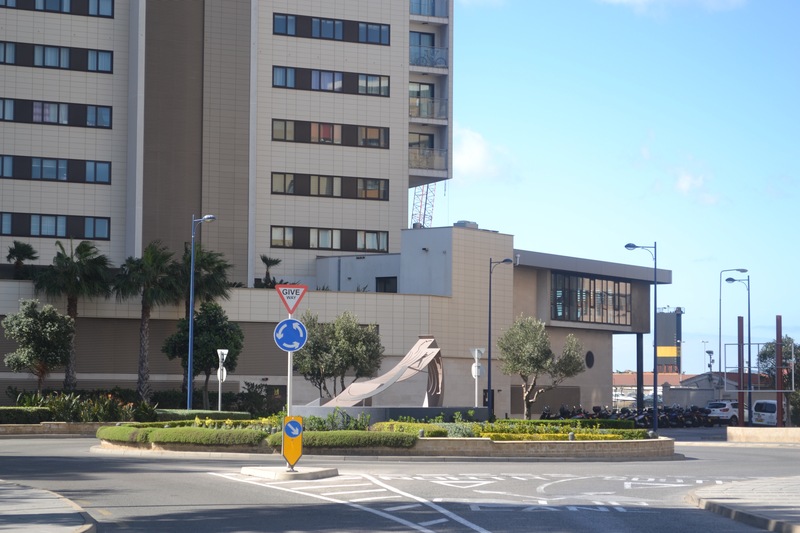 Gibraltar’s newest roundabout is this one on Queensway. 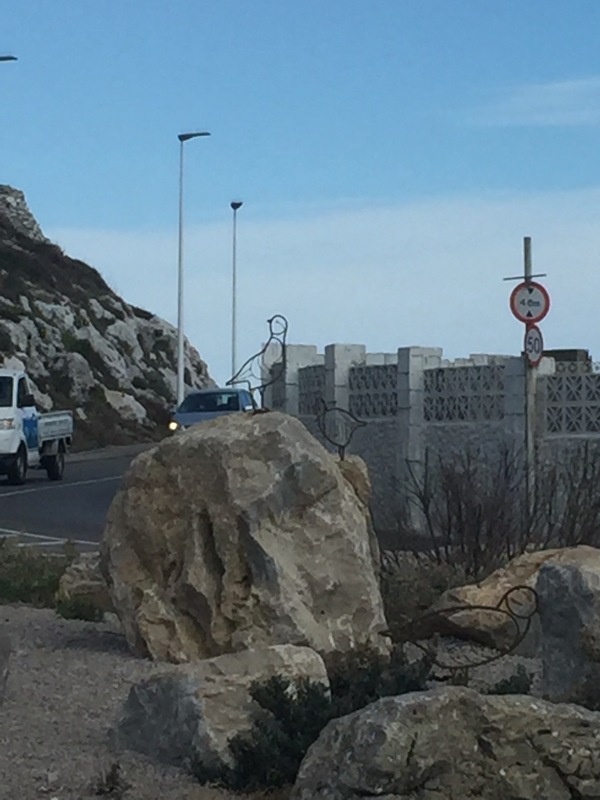 Decorated with a sculpture in the shape of the Rock of Gibraltar with the shapes of figures cut out of it, it’s a monument to the women of Gibraltar. As the sun moves around the Rock during the day, the figures cast by the sunlight move around and appear to be supporting the structure. 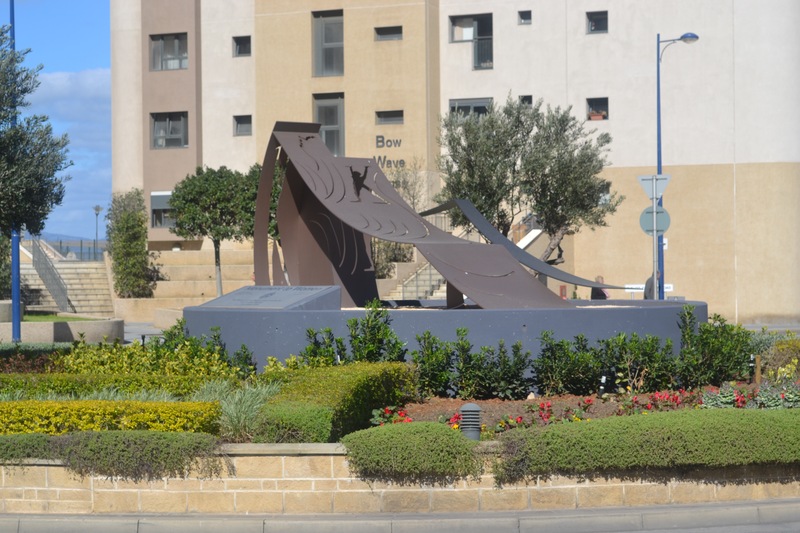 It was unveiled officially on 6th December last year by the Chief Minister’s wife, Justine Picardo. The two women behind the work are architect; Ruth Massias Greenberg and artist & sculptor; Ermelinda Duarte. How about a roundabout where you have a good chance of getting wet on a stormy day? 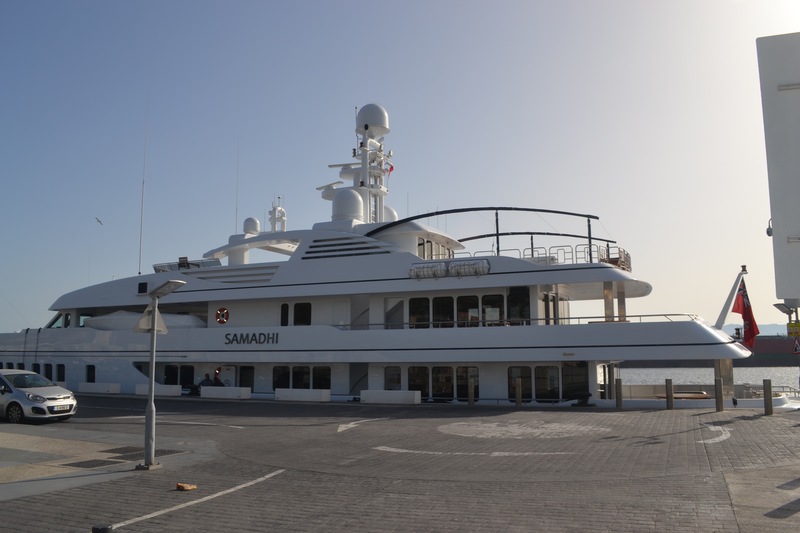 Built on top of the breakwater surrounding the new small boat marina, this road and its little roundabout offer a great vantage point for spotting cruise ships, and rather impressive yachts, like this one! My absolute favourite traffic island has to be the one at the Trafalgar Interchange. 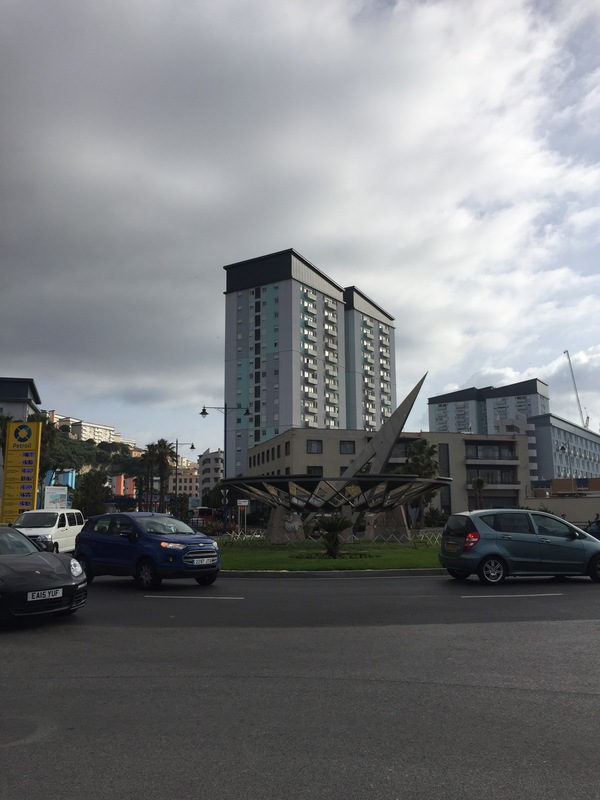 When we first arrived in Gibraltar to live, it wasn’t particularly remarkable, but during our first few years here, a lot of work was done to smarten this area up and it’s just beautiful now. 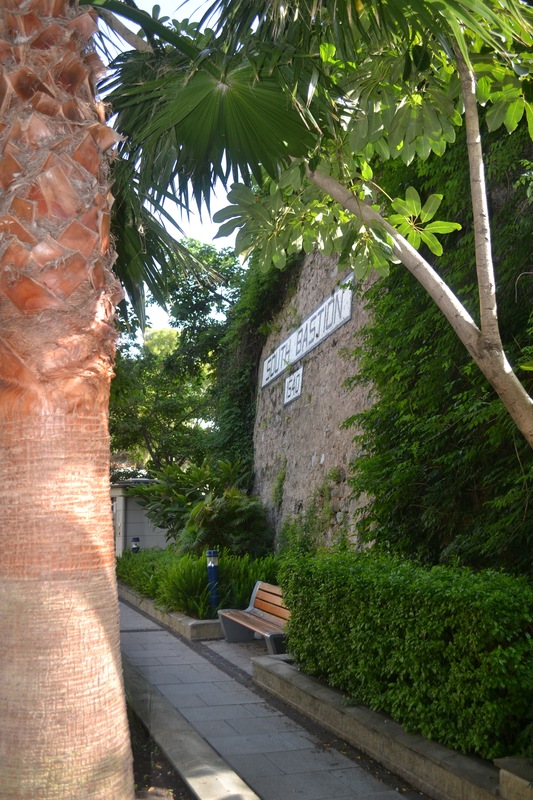 The flower beds nearby are lush and well maintained and the shrubs on the island are neatly clipped. It makes me smile when I see it planted up with new bedding several times a year. 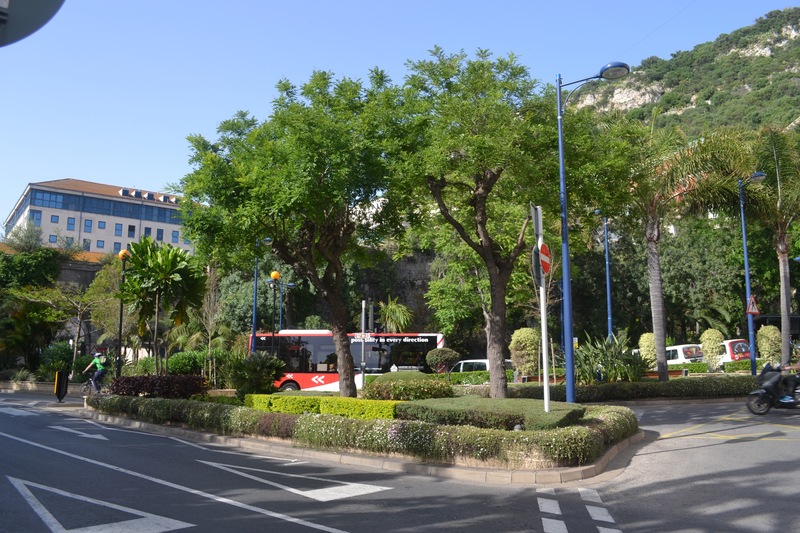 The whole area is a real green oasis, I love this lush corner of Gibraltar. Look it’s even home for a special visitor at Christmas time! 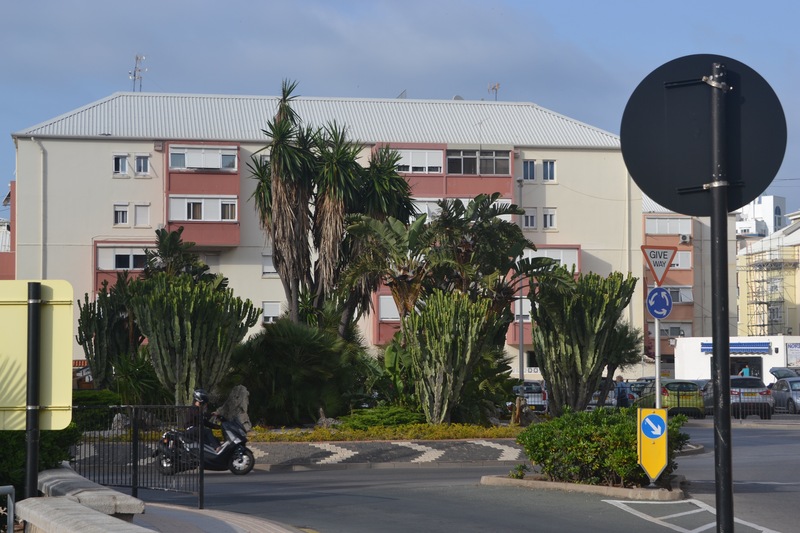 I hope you’ve enjoyed this lighthearted look at what many people may consider to be mundane traffic islands, I fear I may have turned into a bit of a roundabout spotter myself! Goodness me , who knew roundabouts could be so glamorous. I enjoyed the drive. A fantastic photographic tour with story.